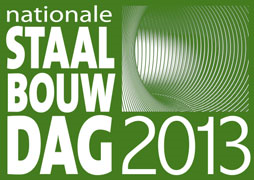 STRUMIS LTD is delighted to be exhibiting at the National SteelConstruction Day in Holland, on 10th October. This one day conference enables delegates to gain knowledge and visions for new and innovative applications in steel building. Come visit us at National SteelConstruction Day 2013 where you can see the latest Steel Fabrication software - STRUMIS – Steel Fabrication Management Information System, which can deliver efficiencies, increased productivity and also the latest steel construction software product suite. Over 1,400 visitors attend the National SteelConstruction Day. It connects all decision makers in the wide Dutch (steel) construction. The steel industry has today interesting challenges. By discussing mutual problems, solutions and opportunities can be found for the future. Clients, architects, consultants, engineers, contractors, fabricators and students TU/HBO/MBO. STRUMIS LTD will be exhibiting on booth number 12 and welcomes any delegate registered/attending National SteelConstruction Day to drop by and see us, where our sales representatives will be demonstrating our solutions both the BIM & Construction and Steel Fabrication sectors. Our team will be showcasing and demonstrating our STRUMIS system for larger and medium sized steelwork fabricators, in conjunction with our new Essentials solution for smaller fabrication shops. We will also be demonstrating our Building Information Modeling (BIM) collaboration software BIMReview and introducing BIMProject our soon-to-be-released construction lifecycle management software for procurement and construction teams. Or, if you are not planning to attend National Steelconstruction Day, you can still request a personal FREE no obligation product demonstration, please click here.